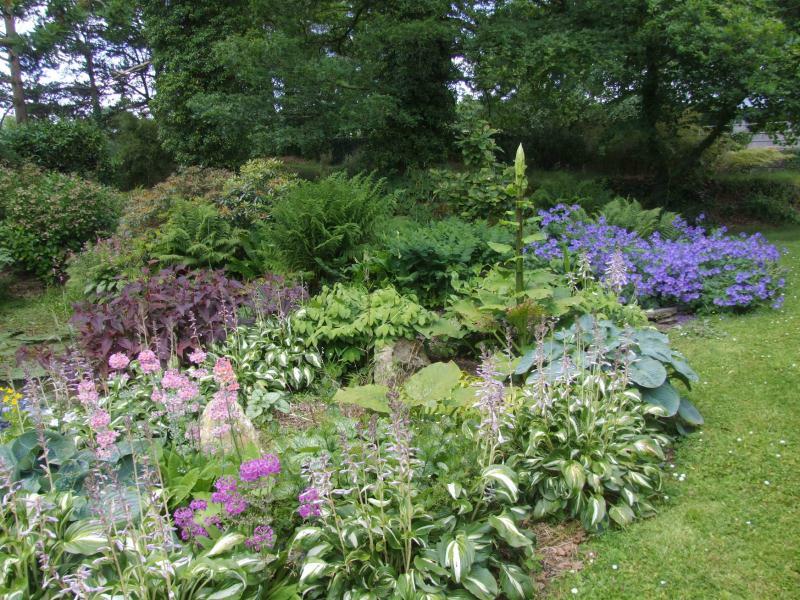 ‘The Last Cow – the Making of an NGS garden at Llwyngarreg’. Paul and his wife Liz, both of whom are biologists moved to the 28 acres of Llwyngarreg in 1992 to follow their dream of self sufficiency. They worked hard at the dream but by 2000 small scale farming had left them exhausted and they realised that it was no longer sustainable. The last calf left the pastures that year and slowly a garden began to emerge from the farm. Paul was a Biology teacher and a group of his A level students gave him a Rhododendron as a leaving gift and so the love affair with particular plant groups was started. 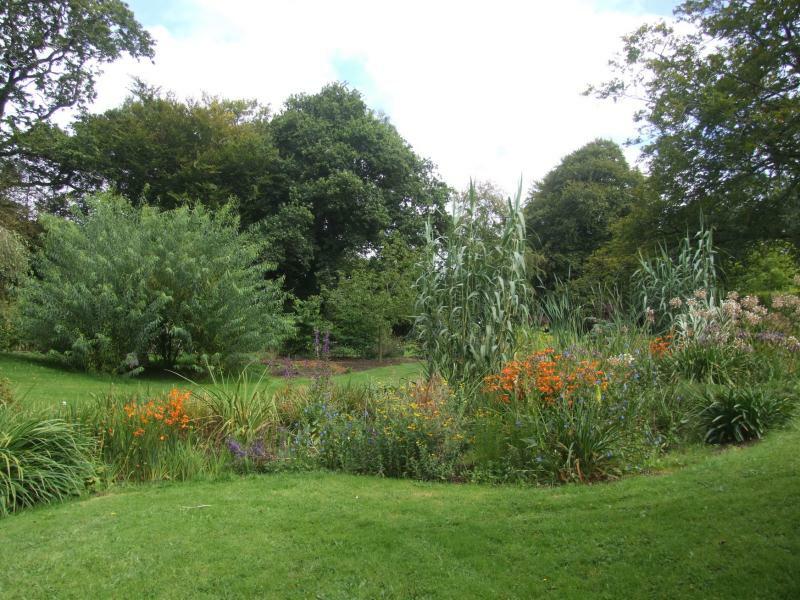 Fifteen years later the 3 ½ acre garden is open to the public and is home to many specific habitats enabling rich collections of Meconopsis, Primula, Bamboo, Magnolia and surprisingly for wet West Wales, Agapanthus and Dierama (Angel’s Fishing rods). 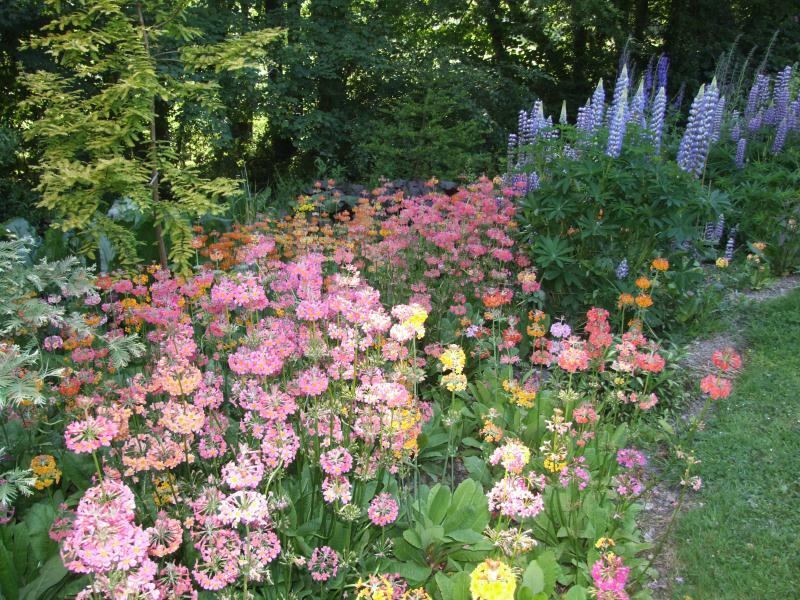 And it all started with a Rhododendron! The next meeting of Cothi gardeners is on Wednesday 15th April at 7.30pm when Jade from Wild Pickings will give us a talk on Foraging Products. In May Alison Sparshalt will talk about The Walled Garden at Treberfydd-A new Beginning. She will bring plants for sale too. Future events to look forward to are on 21st October we will be welcoming Dr Noel Kingsbury the internationally known garden designer and writer on gardens and the environment. His naturalistic approach to planting seems to sit well here in Wales so we are very lucky to have this opportunity to have him talk at a Cothi Gardeners meeting. Last year Jane, a member of Cothi Gardeners was diagnosed with lung cancer. She is a very positive person so true to form she started a fundraising campaign for the Roy Castle Lung Foundation. To help her raise as much money as possible for such an excellent cause Jane’s Garden Party will be held on Saturday evening 4th July and from 1-6pm on Sunday 5th July. More details will be available in May. We are an open group who welcomes new faces, so do join us at 7.30 pm on the third Wednesday of the month, in the Coronation Hall, Pumsaint. Members are £12/year and visitors £2/ meeting. Click the follow button on our home page to get regular posts and updates. Follow us on our Facebook page, http://www.facebook.com/cothigardeners.